Let’s break it down.. What’s the REAL question being asked here? Does a solver make you less prone to tilt? Doubtful. If you spend 10 hours a day for the next month memorizing solver outputs, and play EXACTLY as the solver suggest, will you be unexploitable by even the toughest regs? Definitely not. What I’ve found surprising, is that almost everyone I know who’s bought into the magic of PLO solvers loses money at first. They either don’t know how to properly run simulations, or they misapply the knowledge from solvers. 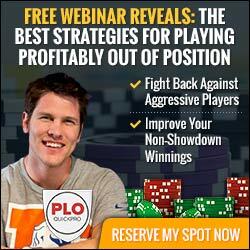 The video above also gives you a glimpse into PLO QuickPro’s newest course created by Cory, called PLO 3Bet Pots Game Theory And Practice: Unexploitable Strategies for Beating Tough Games. It’s targeted for advanced players who want to learn how to visualize their ranges, balance their play, and relentlessly exploit their opponents. 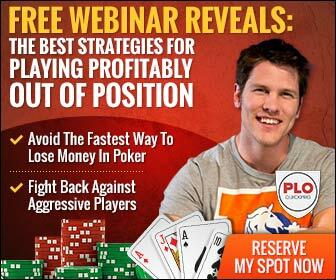 It’s the ONLY course dedicated to teaching you a framework for approaching 3Bet pots so you can exploit every player type, while avoiding getting owned by tough opponents. 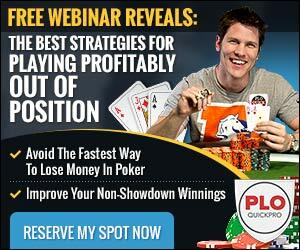 As always, my passion is helping PLO players achieve their goals. Reply to this email and tell me what your goals are, and how I can help you achieve them.